Anti-inflammatory, orantiinflammatory, refers to the property of a substance or treatment that reducesinflammationorswelling.Anti-inflammatory drugsmake up about half ofanalgesics, remedying pain by reducing inflammation as opposed toopioids, which affect thecentral nervous systemto block pain signaling to the brain. Aceclofenac Paracetamol Tablet is used for Fever, Joint pain, Toothache, Cold, Headache, Rheumatoid arthritis and other conditions. Aceclofenac Paracetamol Tablet may also be used for purposes not listed in this medication guide. Aceclofenac Paracetamol Tablet contains Aceclofenac, and Paracetamol as active ingredients. 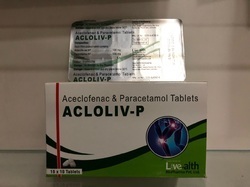 Aceclofenac Paracetamol Tablet works by blocking the action of cyclo-oxygenase in the body; increasing the pain threshold and increases the blood flow across the skin, heat loss and sweating. Ketorolac is used for the short-term treatment of moderate to severe pain in adults. It is usually used before or after medical procedures or after surgery. Reducing pain helps you recover more comfortably so that you can return to your normal daily activities. This medication is a nonsteroidal anti-inflammatory drug (NSAID). It works by blocking your body's production of certain natural substances that cause inflammation. 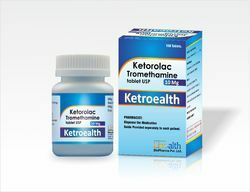 This effect helps to decrease swelling, pain, or fever.Ketorolac should not be used for mild or long-term painful conditions (such as arthritis). Packaging Details: 100 Film-Coated Tablets in a Plastic Jar. 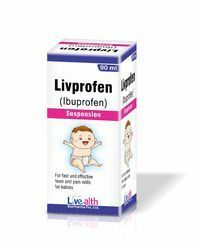 The active ingredient in Ibuprofen Oral Suspension USP is ibuprofen, which is a member of the propionic acid group of nonsteroidal anti-inflammatory drugs (NSAIDs). Ibuprofen is a racemic mixture of [+]S- and [-]R-enantiomers. It is a white to off-white crystalline powder, with a melting point of 74° to 77°C. It is practically insoluble in water (< 0.1 mg/mL), but readily soluble in organic solvents such as ethanol and acetone. Ibuprofen has a pKa of \4.43 ± 0.03 and an n-octanol/water partition coefficient of 11.7 at pH 7.4. The chemical name for ibuprofen is (±)-2-(p-Isobutylphenyl) propionic acid. The molecular weight of ibuprofen is 206.28. Its molecular formula is C13H18O2 and it has the following structural formula: Ibuprofen Oral Suspension USP is a sucrose-sweetened, white to off-white, berry-flavored suspension containing 100 mg of ibuprofen in 5 mL (20 mg/mL). Inactive ingredients include: acesulfame potassium, berry flavor natural & artificial, citric acid anhydrous, glycerin, pregelatinized modified starch, polysorbate 80, sodium benzoate, purified water, sucrose, xanthan gum. 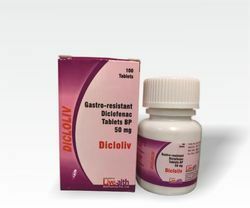 Diclofenac sodium, the active ingredient in Diclofenac Sodium, is one of a group of medicines called non-steroidal anti-inflammatory drugs (NSAIDs). NSAIDs reduce pain and inflammation.Diclofenac Sodium tablets relieve pain, reduce swelling and ease inflammation in a number of conditions affecting the joints and muscles. Rheumatoid arthritis, osteoarthritis, acute gout (painful inflammation of the joints especially in the feet and hands), ankylosing spondylitis (form of spinal arthritis).Backache, sprains and strains, soft tissue sports injuries, frozen shoulder, dislocations and fractures Conditions affecting the tendons for example, tendonitis, tenosynovitis, bursitis.They are also used to treat pain and inflammation associated with dental and minor surgery. Prednisone is used to treat conditions such as arthritis, blood disorders, breathing problems, severe allergies, skin diseases, cancer, eye problems, and immune system disorders. 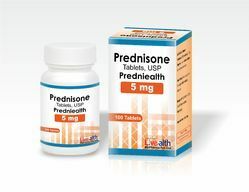 Prednisone belongs to a class of drugs known as corticosteroids. 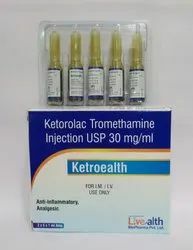 Ketorolac tromethamine, a nonsteroidal anti-inflammatory drug (NSAID), is indicated for the short-term (up to 5 days in adults), management of moderately severe acute pain that requires analgesia at the level. Packing: 2 x 5 x 1ml Ampolues. 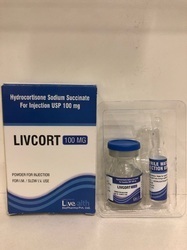 Packaging Details: 2 x 5 x 1 ml Ampoules in a plastic tray in a printed carton. As an anti-inflammatory medication. 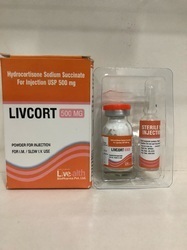 Hydrocortisone Sodium Succinate relieves inflammation in various parts of the body. Packing: Each pack contain one vial of Injection and 5 ml Ampoule of Water for Injection. Packaging Details: Each pack contain one vial of Injection and 5 ml Ampoule of Water for Injection. Each film-coated tablet contains 120 mg of etoricoxib. Etoricoxib is indicated in adults and adolescents 16 years of age and older for the symptomatic relief of osteoarthritis (OA), rheumatoid arthritis (RA), ankylosing spondylitis, and the pain and signs of inflammation associated with acute gouty arthritis. 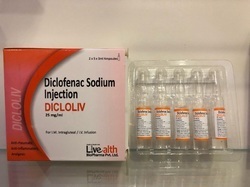 Diclofenac Sodium 75 MG Injection is a Non-steroidal anti-inflammatory (NSAID) drug used to treat pain associated with conditions like Gout, Migraine, Rheumatoid Arthritis, sprains of muscles and joints etc. In some cases, it is also used to treat mild to moderate fever. Packaging Details: 10 Ampoule of 1ml Injection in a printed carton. Packing: Each pack contain one vial of Injection and 10 ml Ampoule of Water for Injection. Packaging Details: Each pack contain one vial of Injection and 10 ml Ampoule of Water for Injection.